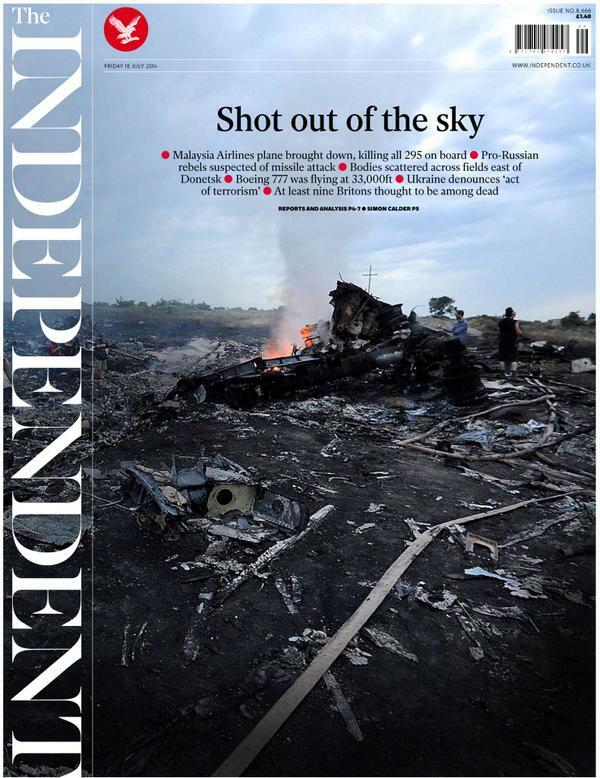 The blame game continues as to who shot down Malaysia Airlines Flight MH17. President Obama blames the pro-Russian rebels. So does British Prime Minister David Cameron. Russian President Putin blames the Ukranian armed forces. Ukrainian Prime Minister Arseniy Yatsenyuk urged Western leaders to 'bring justice to those b*******' who brought down the flight. Obama also said that one American with dual citizenship with the Netherlands was on board. Republicans in Congress are already using the tragedy to call for an increase in defense spending. This tragedy does not call for a military response by the U.S. This is not our fire, we didn't start it, it wasn't directed at us, and whether it was pro-Russian rebels or the Ukranians, they weren't intending to attack the United States. We can help with the investigation into who shot down the plane (which we are already doing)and press for a cease-fire and restitution for the families of the victims from those ultimately deemed responsible, but using the tragedy to call for increased military spending by the U.S. is just political gamesmanship. Update: Later information shows either 1 American was on board. Among those on board Malaysia Airlines flight MH17 from Amsterdam to Kuala Lumpur which was shot down over the Ukraine, near the town of Grabovo, not far from the Russian border: 9 Britons, 23 Americans (later revised to 1 or 3) and 80 children. All 283 passengers and 15 crewmembers were killed. The passengers were from all over: 154 Dutch, 27 Australians, 38 Malaysians. Also: 11 Indonesians, four Germans, four Belgians, three from the Philippines and one Canadian. Some of those aboard were headed to an AIDS conference in Melbourne.